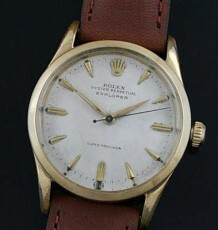 A clean example of a vintage Rolex Oyster Perpetual Date model with gold-filled case and bracelet. 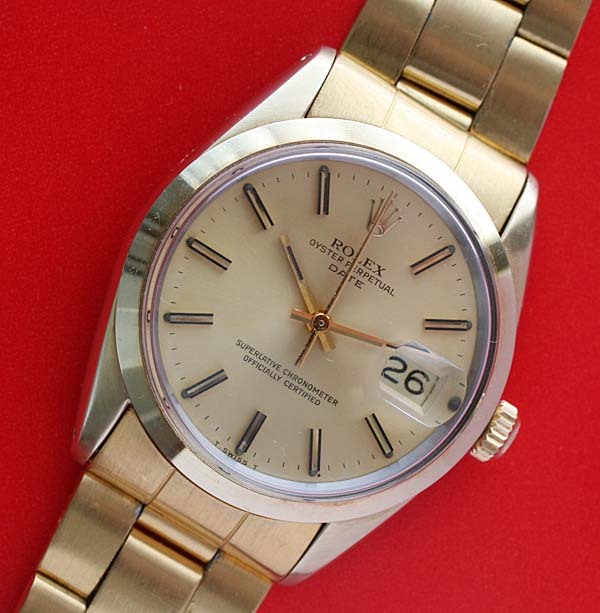 This model is usually seen with a leather band due the relative rarity of the gold-filled or plated Oyster bracelets. 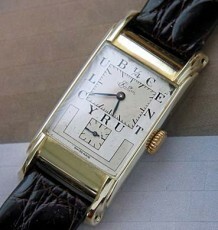 The watch is in great condition with no apparent wear through in the heavy gold capping on the case. The bracelet is marked gold plated and also has no wear through. 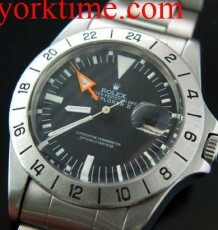 The serial number in the 6 million range dates the watch to 1979. The inner caseback is appropriately and correctly stamped with the reference number 1550 and carries the 40 micron gold capping certification. The bracelet is a reference 7835 with the correct gold plating certification on the buckle. The champagne or gold coloured dial is in mint condition with gold stick hour markers that have ebony inlays. The Rolex automatic perpetual movement, calibre 1575 was just serviced by my Rolex trained watchmaker and is keeping excellent time. All in all, an impressive watch that looks and wears like a solid gold Rolex for a fraction of the cost. 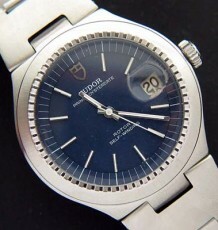 The watch measures 34 mm wide by 41 mm long. The bracelet is currently sized to fit up to a 7.5 inch wrist.